Congratulations, you’re getting married! The date is set and you are ready to marry the love of your life! However, there is still a never-ending list of arrangements for your big day that you and your partner need to battle through. Childcare is somewhere on your to-do list, but where to begin? Finding a great babysitter can be a challenge. This can be made even harder when visiting Ireland as a non-local. So, how do you find a reliable babysitter? Where should you search for one? How do you know that the babysitter is right for your family? 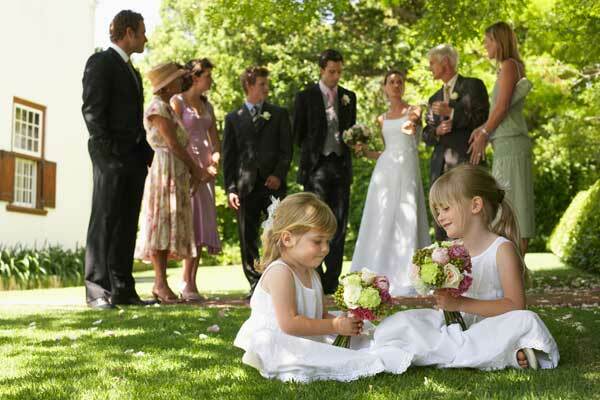 Check out these tips on how to organise childcare for your wedding day! Take a step-back and evaluate the situation and your needs. What exactly are you looking for? How many hours do you need to hire a babysitter for? How many children need to be cared for? Will your guests require childcare? What is your budget? Knowing what you need assists you in finding the perfect sitter(s) for you and your family. Usually, parents searching for child care have close family and friends willing to look after their children. However, as it is your wedding day, your family and friends are most likely going to be celebrating the special day with you. Despite this, there are still other options available to you. Owing to the internet and the growth in the number of babysitting platforms such as Babysits, finding a babysitter has never been easier! These websites function to connect parents and babysitters and are a more affordable and economical option than hiring a babysitter by going through an agency. It is of no surprise that a few parents may be hesitant to employ a ‘stranger from the internet’ but there are a number of steps you can take to avoid any potential issues. To discover a suitable sitter, browse the options available and ensure you spend time reading through each profile. Profiles that are comprehensive, well-written and include photographs are the most trustworthy. To give yourself more options, contact multiple babysitters at once as this will give you an idea of which childcare provider will fit best with your family! Ideally, you will want to meet the babysitter before he/she starts caring for your kids. However, if you are not local to Ireland then due to time restraints and availability issues, this may not be a possibility. Instead, arrange a video call to meet and interview the sitter. Meeting the sitter prior to the wedding day will assist in gauging whether or not the babysitter is suitable for the job. During the interview, you will be able to discuss your requirements, fees and expectations. Make the rules and responsibilities of the job clear from the get go. If meeting in person, make sure to meet in a public place such as a cafe or a park so both parties feel safe and comfortable. Fire away with your questions! Now is the time to get down into the nitty-gritty and ask all of the difficult questions. Preparing in-depth questions, helps for you to get to know the babysitter as best as you possibly can. Question how the potential sitter handles emergencies and ask about their previous babysitting experiences. Encourage the candidate to reciprocate and ask questions back to you. This will help the babysitter see whether or not they are qualified for the job and the position’s expectations. Considering you may not have the chance to meet the potential sitter, background checks and references are a fantastic and reliable way of ensuring that the babysitter is suited for the position. You can choose to run an informal background check or a formal background check. An informal background check usually consists of checking the candidate’s social media platforms whilst a formal background check usually involves utilising Government sources. Ask the babysitter to provide you with references which you can then contact to find out more about said babysitter. If you are still hesitant after following these tips, trust your gut instinct! If you are feeling off about something, then there’s probably a reason why. Only hire a sitter that doesn’t raise any red flags or set off any alarms. You don’t want to be worrying about your children on your big day so trust your judgement and enjoy your wedding day! This article was written in collaboration with Ines Fenner from Babysits, the babysitting community of Ireland.